You earned them, now it’s time to show them! 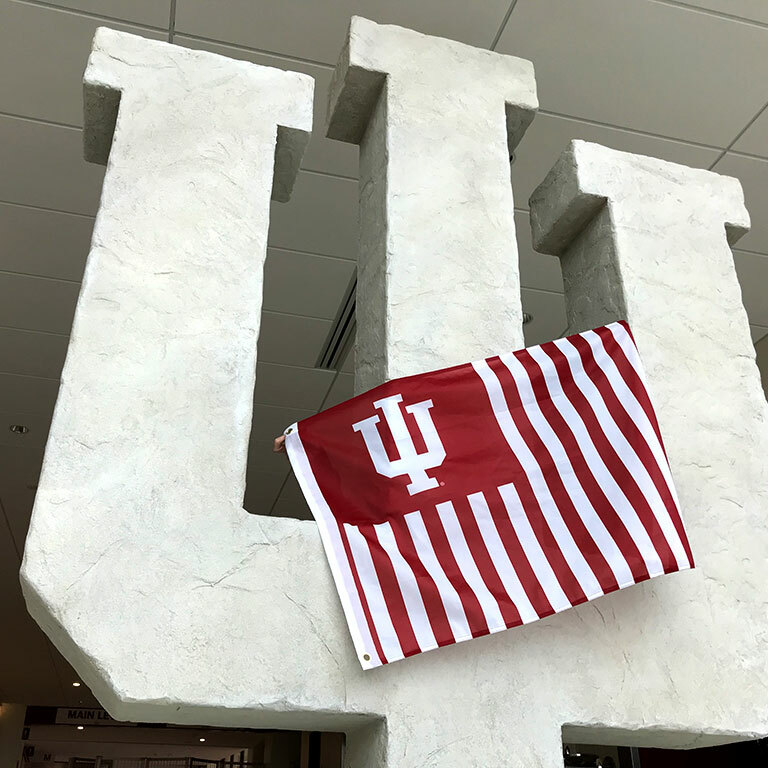 As an IU Alumni Association member, you’ll show your pride, support student scholarships, connect with fellow alumni, and become part of a community where you belong. And if you join by May 1 with promo code IUSTRIPES18, you’ll receive an exclusive striped IU flag so you can #ShowYourStripes for all to see! IUAA members receive a subscription to the Indiana University Alumni Magazine, which delivers inspiring IU stories and photos to your mailbox four times a year. Each month, members get an email full of top IU stories from IUAA’s newly-launched Alumni Insider e-newsletter. This makes bragging about all the cool things happening at IU much easier. With more than 600,000 fellow alumni, members have access to the Alumni Directory, which helps reconnect old friends, or make new ones in a specific city or career field—all through a simple search! Members are invited to register for all of IUAA’s career development webcasts—at no additional charge! And you’ll receive invitations and access to other professional development resources. As an IUAA member you’ll get an IU alumni email account, which means you get to keep the benefits that come with a “.edu” address. As part of your membership, you’ll earn priority points each year for IU Bloomington football and basketball tickets. Who doesn’t like sitting closer to the team?